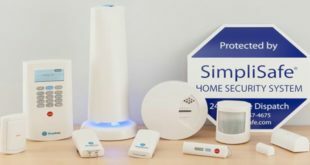 Home / Smart Security / Z-Wave Doorbell or Wi-Fi Doorbell? Choose Prudently! The mighty Z-Wave Doorbell that will remove the unpredictable ‘who’ from all knock-knock jokes forever! There are very few things on this earth as goofy as this pun. Other goofballs in this category include a home automation system minus the smart doorbell. Are you guilty of being unintentionally funny in such a manner? If yes, then you would like to read on till the final dot of the article. How good can a Z-wave doorbell be for you? 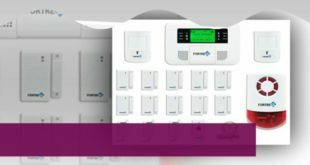 1 How good can a Z-wave doorbell be for you? 2 Wi-Fi Doorbell vs Z-Wave Doorbell: Which is Better? It is always better to show and tell. So, we decided to do the same for this section. You might want to know what is the purpose of a Z-wave doorbell in a household like yours. So let’s explore one of the best of this kind available in the market and gauge its utility. It is a two-piece device which comprises an inside speaker and an outside button. The doorbell alerts with both chiming tones and flashing LED light. It comes with over 100 different ringtones to give you plenty of options at any given moment. It comes with an easily pluggable speaker. The accompanying USB cable allows you to program the device as per your liking. The smart doorbell mechanism allows you to keep a constant vigil at the door. Depending on the scenario, a number of events can be triggered with a single click. You can activate various other devices in the smart network too when required. One can simply insert this doorbell in the power outlet thus making the installation process extremely simple. Now, wirelessly control the tone and volume of the doorbell from miles away. The instruction manual is not as helpful as you might want it to be. The doorbell volume is not loud enough to work effectively in a big establishment. The product is not sturdy enough to justify the steep price. This compact and easy to control doorbell is an expensive but convenient purchase. Hence, you don’t think twice before purchasing it if you want to make your smart home automation system full-proof. Wi-Fi Doorbell vs Z-Wave Doorbell: Which is Better? Every day marks the invention of something new and exciting in the technology world. On one hand, it gives us a solution to our problems even before they can raise their heads. But on the other hand, they also give us too many choices for our own good. Life was perfect with Z-wave doorbells. But then the Wi-Fi Doorbells arrived and suddenly we feel discontented with our previous choice. So, let us try to weigh our options and make a conscious decision together. The Wi-Fi connectivity supports all the data-heavy functions. Thus, when you watch a surveillance feed, you want it to be crystal clear. And rightly so, since something blurry and unnoticeable might get you in big trouble later on. If you wish to see the security footage in 1080p and 720p HD video quality then the Wi-Fi Doorbell is surely the way to go. The Wi-Fi enabling lets your smart doorbell send and receive data at lightning speed. You want to be able to gauge every possible situation at best angle when it comes to home security. And this is why you need Wi-Fi over the Z-wave technology to provide you data-rich feedback instantly at any given point in time. Nothing is more annoying than a dropped call or a buffering screen. With a Wi-Fi Doorbell, you can rest assured that these annoying experiences will never bother you again. All you need to do is connect your smart doorbell with the home Wi-Fi and you are all set. 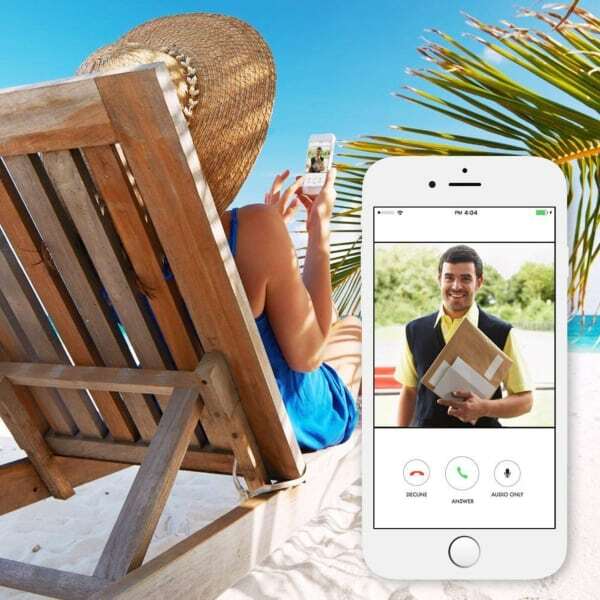 Now chat with that unknown visitor outside your door in premium quality without breaking up even once. The world is Wi-Fi hungry for a reason. And Wi-Fi doorbells make good use of that universal appeal for your peace of mind. That is why they are a clear winner to their Z-wave counterparts. When it comes to being a valuable smart addition to your home, there is no better option than the Wi-Fi doorbells. Since we have established above that Wi-Fi doorbells are the way to go, why not to explore them further? Below are the top three models that have been reigning the digital market with their remarkable features. Read on to know how they can be the finishing touch to your smart home. It comes with a detailed installation guide and toolkit. The ‘Live View’ function lets you keep an eye on what is happening back home when you are not around. It is weather- resistant to give a stellar performance in trying climatic conditions. The rechargeable battery makes its usage and maintenance even more simple. Being wi-fi compatible makes it easy for you to update and access it whenever you want. 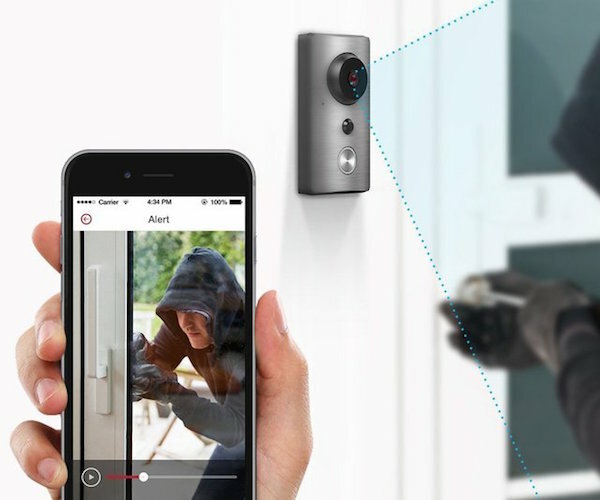 You can connect this doorbell with your smart hand-held gadgets such as smartphones, laptops, etc. Communicate with people on the other side of the door seamlessly. 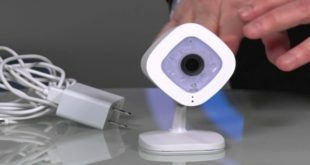 See everything happening around your home in a crystal clear live streaming video. Get extra protection layer for night time security with its infrared night vision feature. Enjoy utmost clarity with noise-cancellation effect while using its two-way audio service. The video feedback gets blurry and delayed at times. The audio quality is a bit rough and lacking. The app installation process might get frustrating if you are new to smart automation gizmos. Comes with a total of four interchangeable faceplates. Has a sleek and modern twist to its layout. Easily functions on both mobile and desktop. Offers you the benefit of lifetime purchase protection. Enhanced sensitivity to the home Wi-Fi network. Proves to be highly compatible with both android and apple devices. Offers wide angle HD footage of your home for better coverage. Sufficient cloud storage space lets you save the feeds to be watched later. It will readily connect to your home wireless network. Highly sensitive Infrared vision and motion sensors make sure that nothing escapes your sight both day and night. The real-time tracking with it on phone has proven to be challenging. The field view is not as high on coverage as the previous model. The video quality gets seriously deteriorated sometimes. Get a good look at your neighborhood with 185° wide-angle HD camera. The QR code scan converts the installation process into a single convenient step. 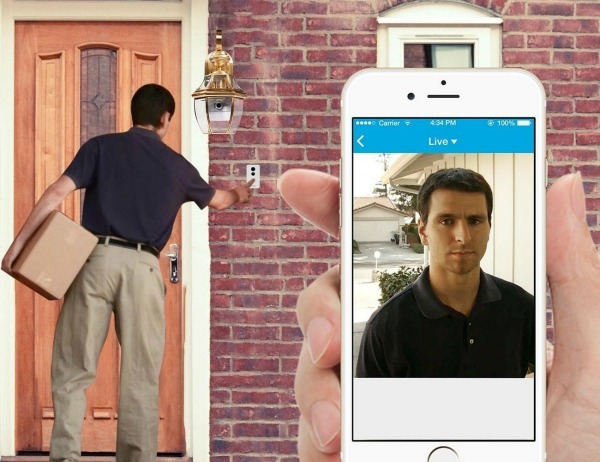 Get timely notifications and snapshots when someone is at the door. Get real-time updates with ‘Real-View’. Maintain utmost security in the pitch dark with infrared vision. Comes with the amazing multi-user sharing facility to make it useful for the entire family. Streams video in 720p HD quality for optimum clarity. Enjoy the benefits of real-time 2-way audio for heightened security levels. Store the important feeds with abundant cloud storage space. Makes installation process totally hassle-free with AC/DC Compatibility. It supports only 2.4G Wi-Fi channels and nothing below that. Sometimes it gives delayed response to motion triggers. The night vision does not function beyond a distance of 1 foot. This big question is as important as its answer. 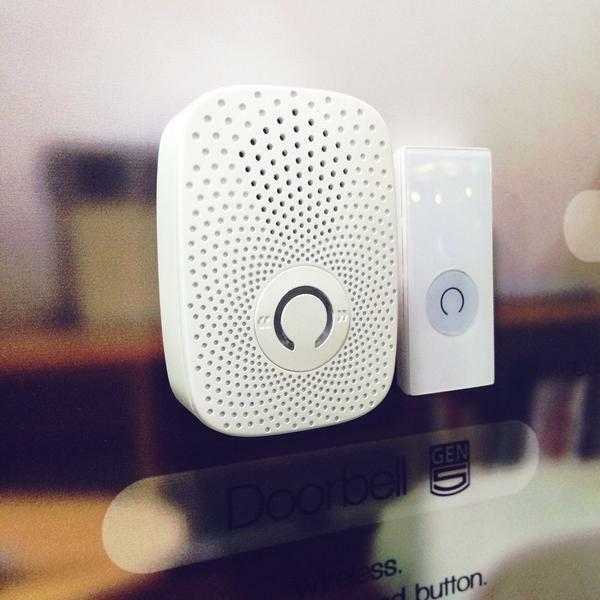 In the battle of great Wi-Fi doorbells, you need to know the best one for your sweet home. 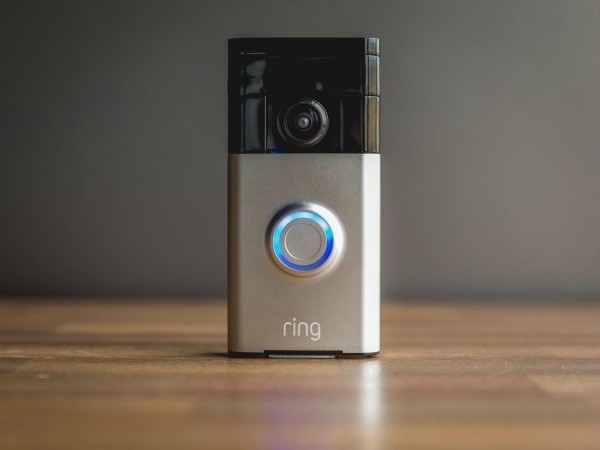 Ring Wi-Fi Enabled Video Doorbell is the clear winner in the above comparison. Now, it is not just the ease of installation and usage. It is the culmination of all of its features that makes it the ultimate answer to your doorbell dilemmas. It functions as a one-time investment for long-term reliable use. The Wi-Fi factor makes it perfect for monitoring the ins and outs of your home. This frees you from worrying about it every waking hour. The chargeable battery addition to its framework troubleshoots your installation problems too. So, all you have to do is decide where you want to install it. Several similar big and small concerns of yours have been perfectly addressed in every aspect of this useful appliance. So go ahead and make the smart choice today! Since you are still here, why don’t you tell us about how helpful we have been with this article. Also, let us know how can we improve so that we can serve you better. Do you have a smart home automation query? If yes then let us know about it in the comment section below. We will be more than happy to address it in our next article. Next A Thermostat with Remote Sensor lets you sense the magic!